Adopted on August 2, 1996. The Legislature adopted Johnny Appleseed as folk hero on August 2, 1996. He was born John Chapman in Leominster in 1775, at the time of independence. Chapman gained fame and his nickname because of the apple trees he planted in rural areas beyond Massachusetts. 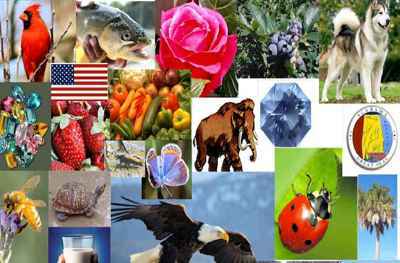 The apple blossom is the state flower in Arkansas and Michigan, two of the far flung states that received his apple seedlings. 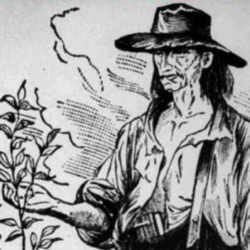 Johnny Appleseed was the name given to John Chapman, an American pioneer who planted large numbers of apple trees along the early frontier. He became a folk hero as the result of many novels, short stories and poems about his deeds. However, most of these deeds were probably imaginary. Chapman was born in Leominister, Mass. On September 26, 1774. Nothing is known about his childhood. From 1797 until his death, he traveled alone from western Pennsylvania through Ohio, Indiana, and Illinois, planting orchards as the settlers moved westward. He eventually owned about 1,200 acres of orchards. 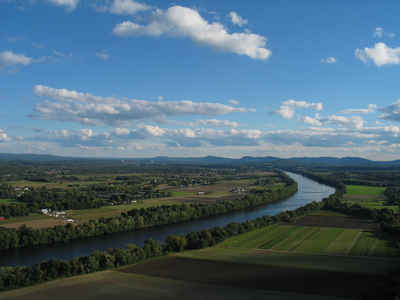 In Pennsylvania, Chapman lived along French Creek in Venango County between 1797 and 1804. Records indicate he had a nursery there and one near Warren, Pa., before moving on to Ohio. The Pennsylvania Historical and Museum Commission has a historical marker at 13th and Franklin Ave. in Franklin to commemorate the time Chapman spent in Pennsylvania. The most famous story about Chapman tells of his giving apple seeds and saplings to everyone he met. He supposedly traveled hundreds of miles to tend one of his orchards. Some people said he wore a tin pot as a hat, a coffee sack as a shirt, and no shoes. Various tales describe him as a medicine man to the Indians. None of the folk stories about Chapman has ever been proved true. The tales became widely known after an article describing his deeds appeared in Harper's New Monthly Magazine in 1871. 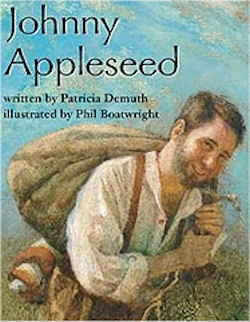 The article, called "Johnny Appleseed, a Pioneer Hero," was written by an author named W.D. Haley. Section 40. Johnny Appleseed shall be the official folk hero of the commonwealth.